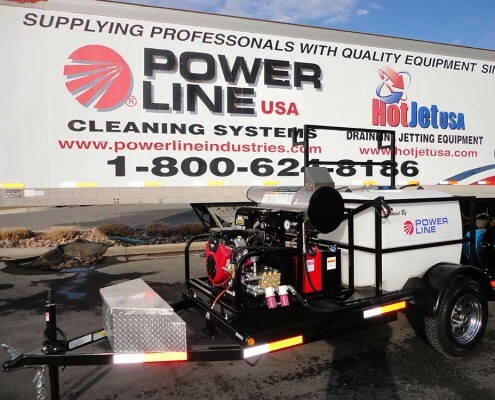 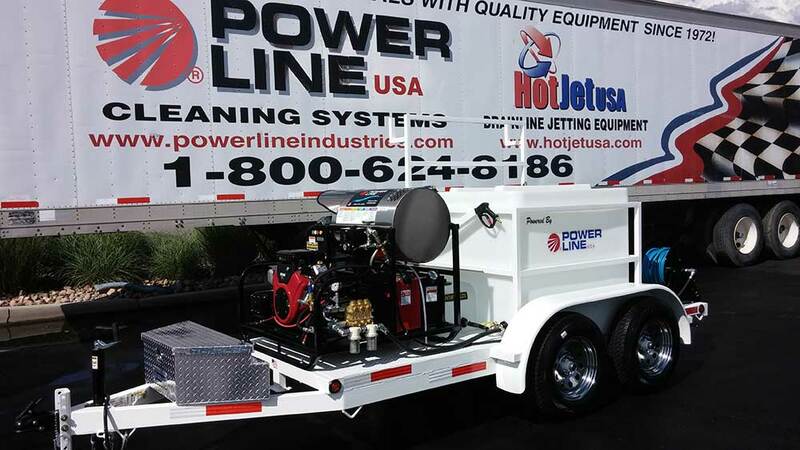 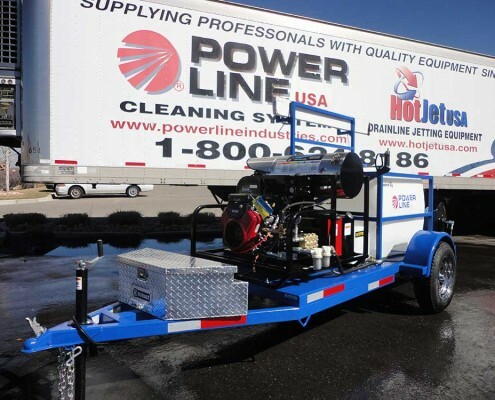 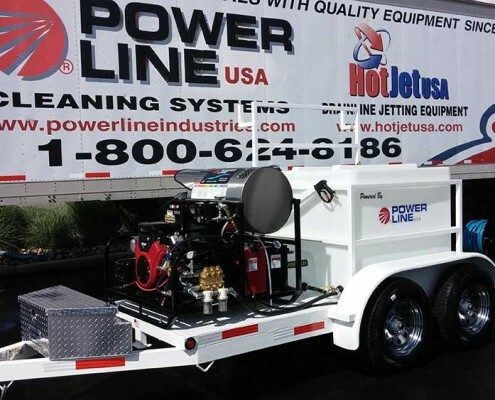 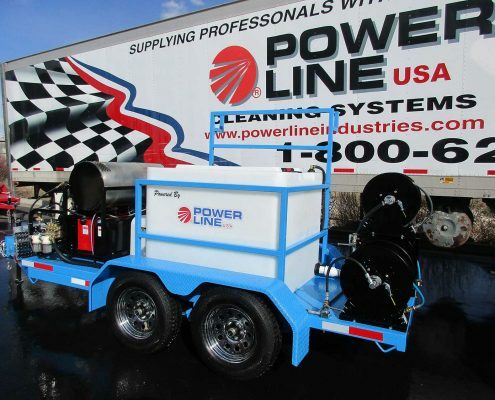 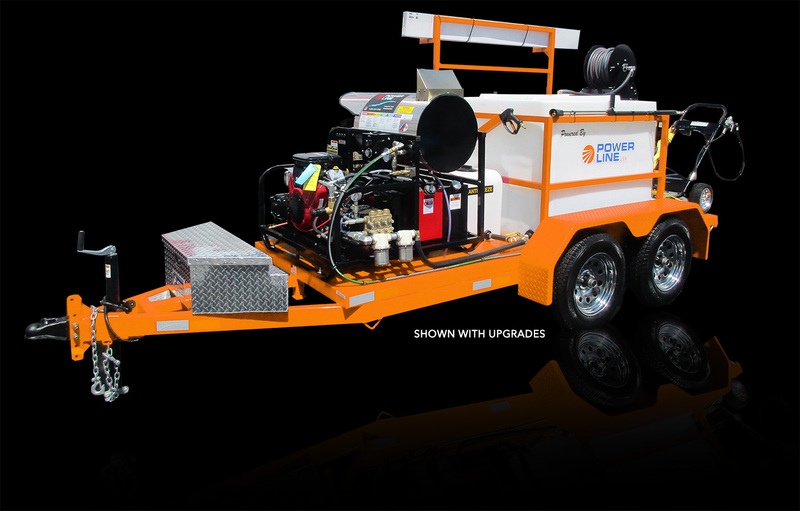 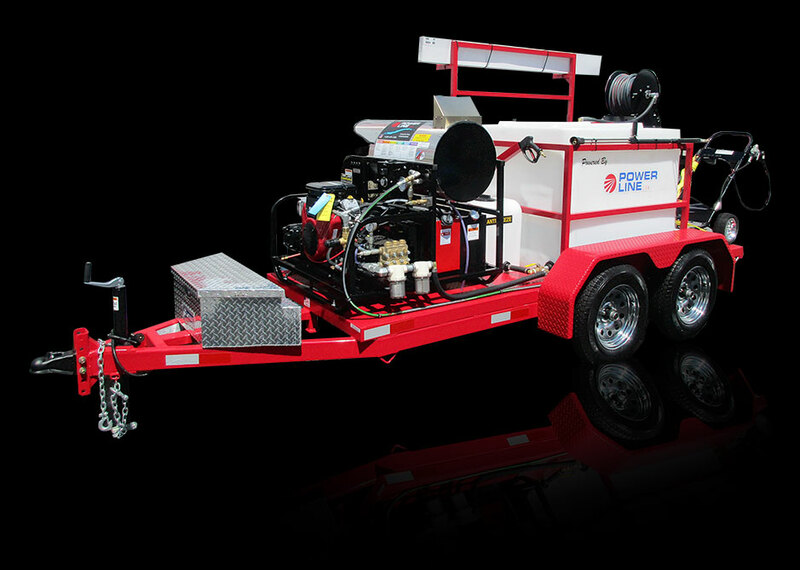 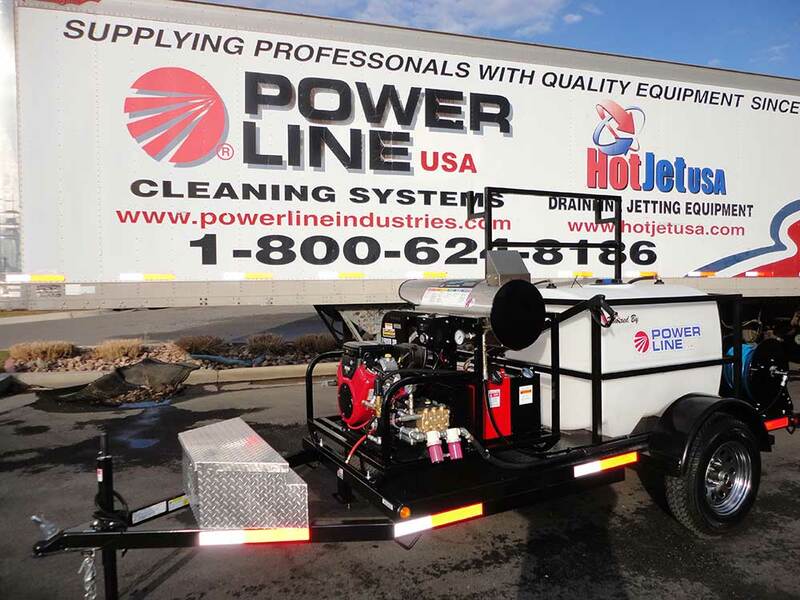 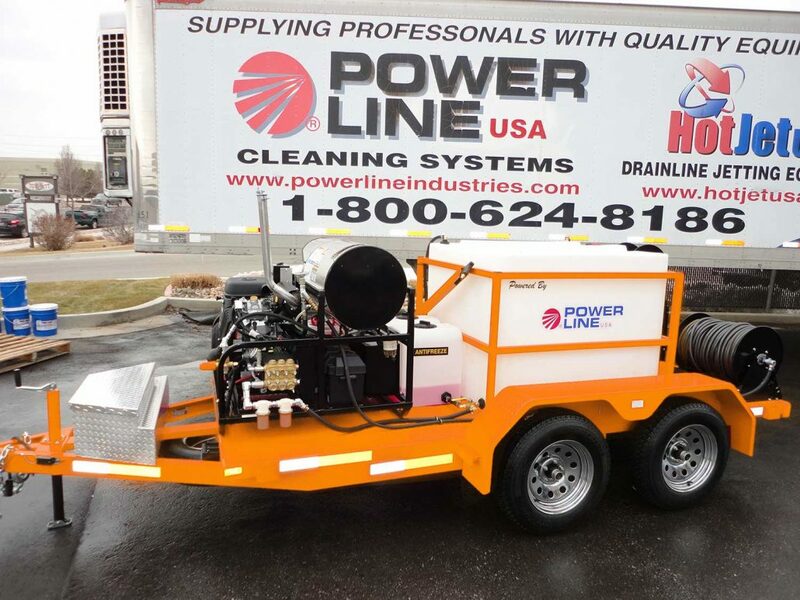 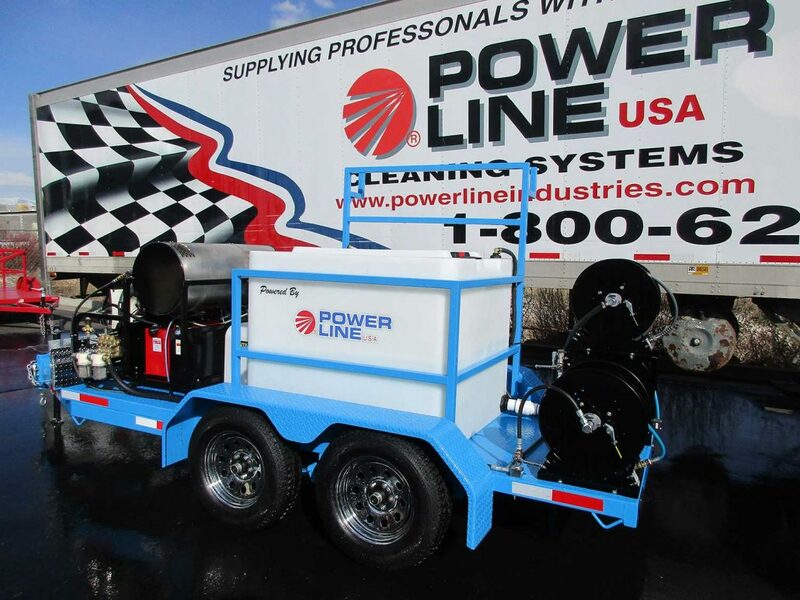 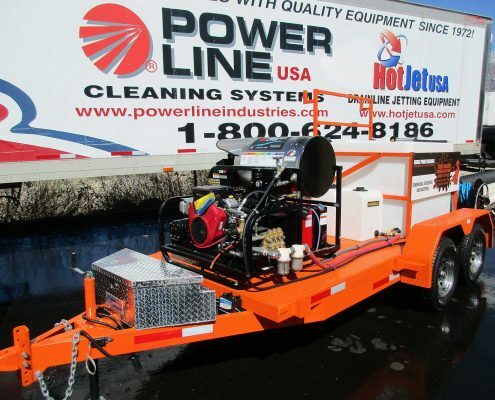 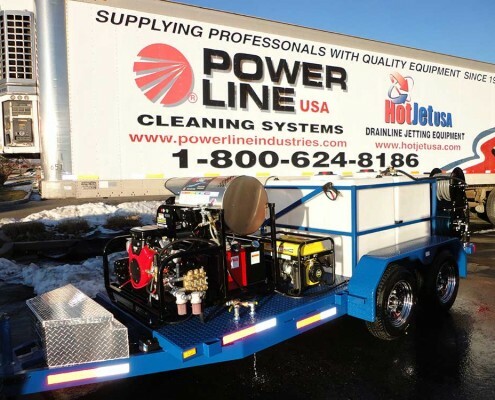 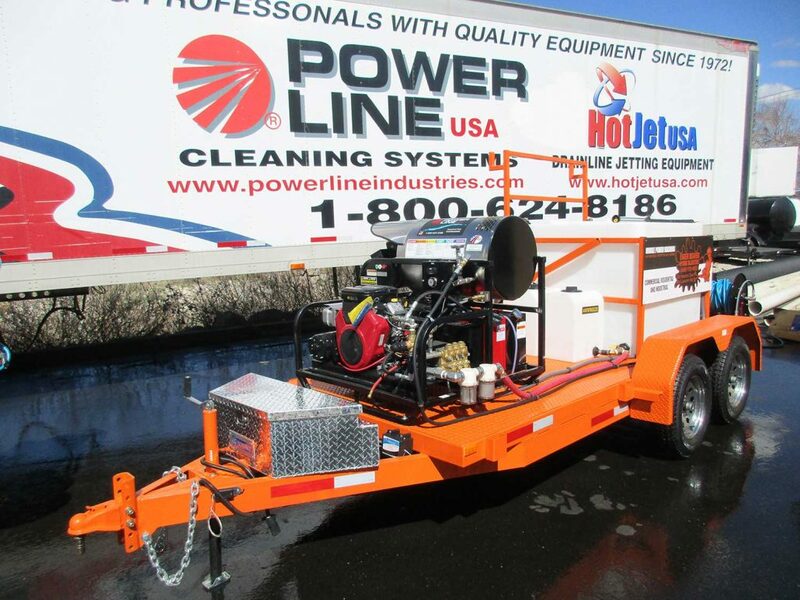 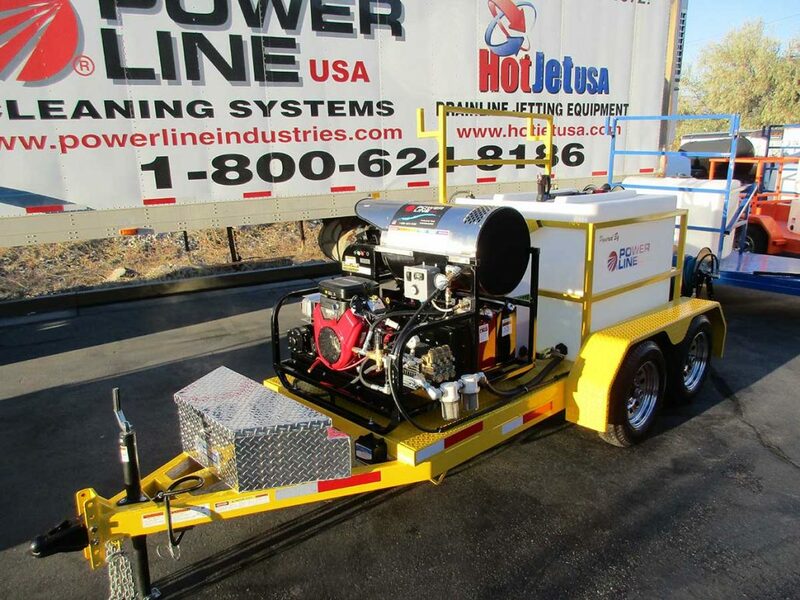 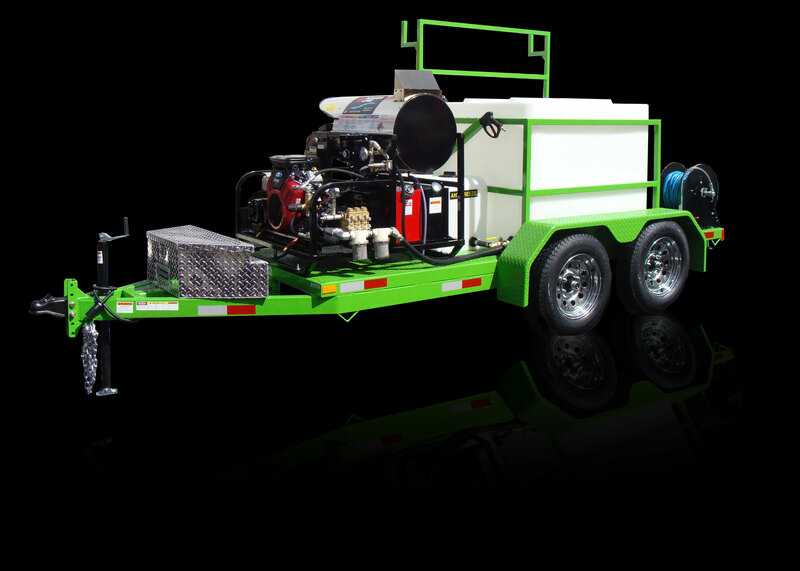 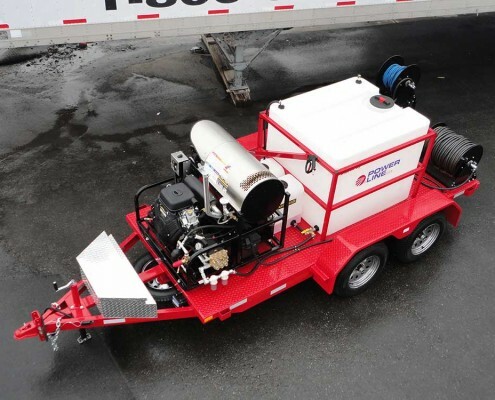 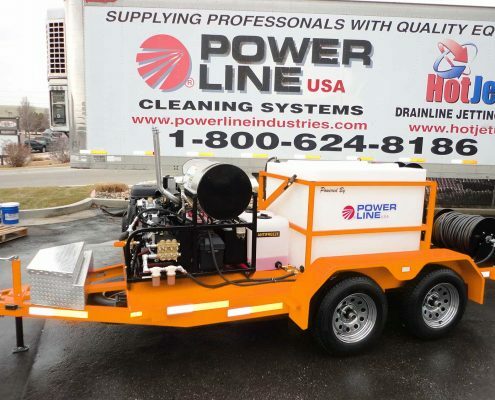 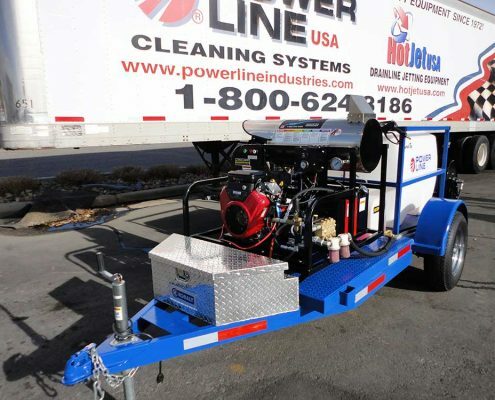 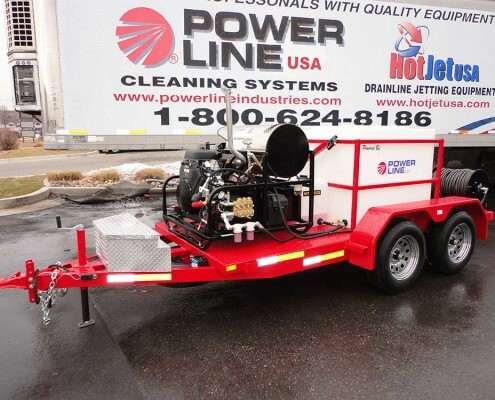 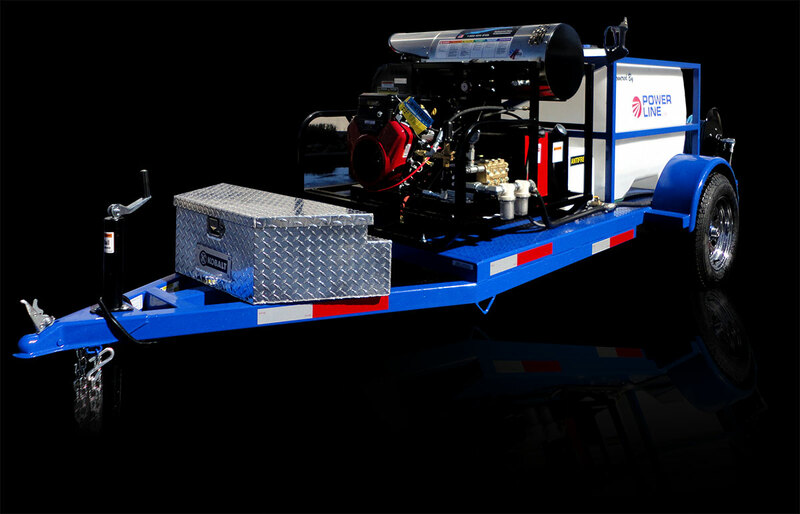 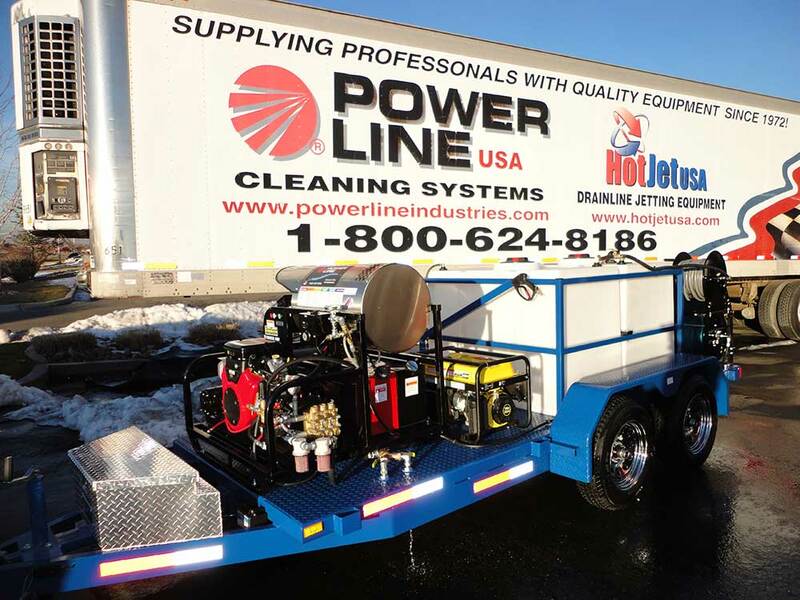 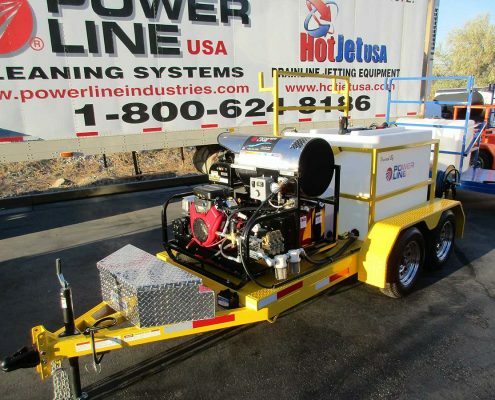 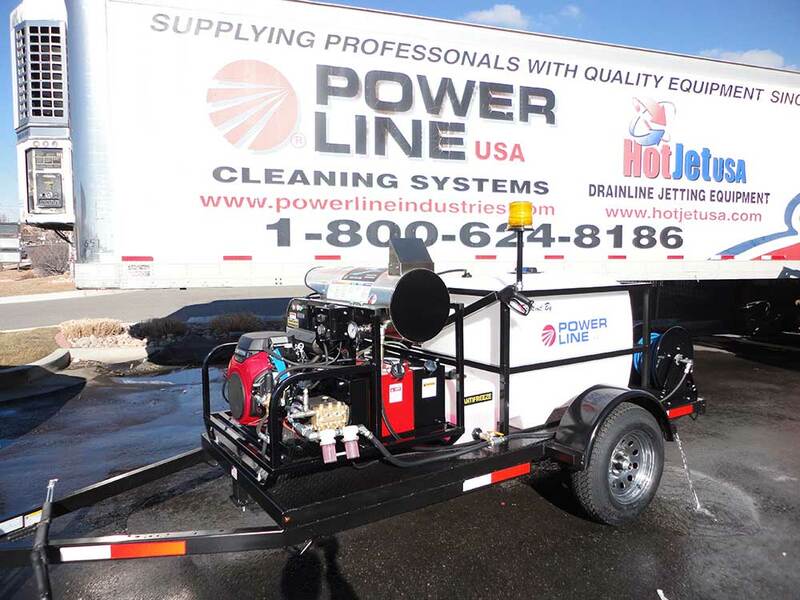 Trailer Power Washers - Power Line Industries, Inc.
Trailer Mounted Power Washers manufactured by Power Line Industries feature the top selling HD23 Tandem Axle Power Wash System. 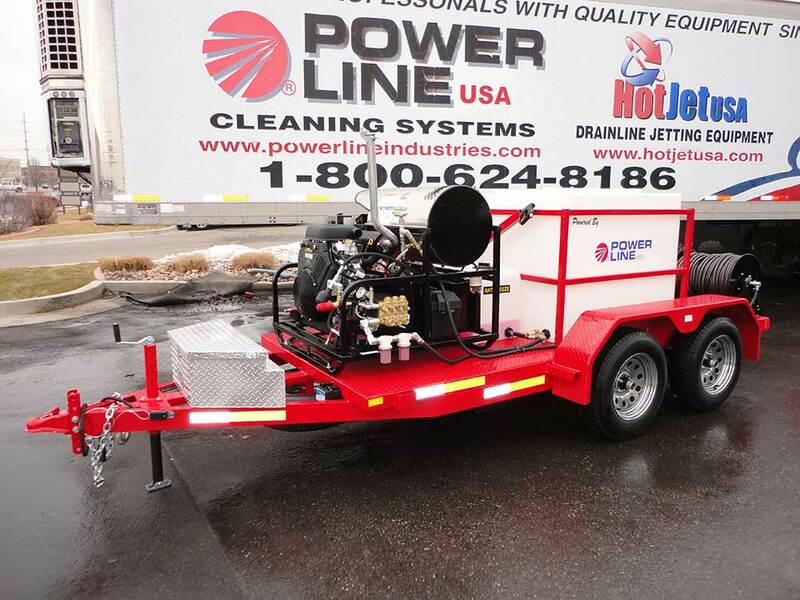 All power wash systems are professionally mounted on a custom power wash trailer that is engineered specifically for the Power Wash Professional and are turn-key ready for Professional Pressure Washing. 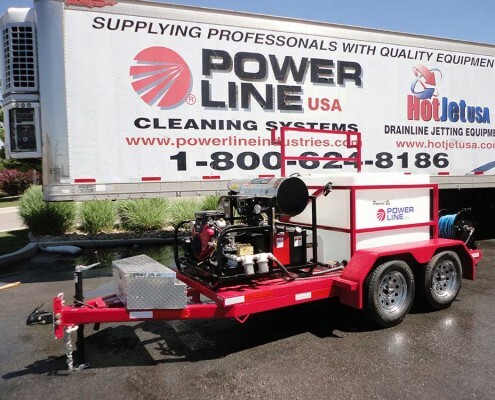 Our Power Wash Trailers are engineered for the Professional Power Washer – who demand a Quality Built – Super Dependable – trailer pressure wash systems at Factory Direct Pricing. 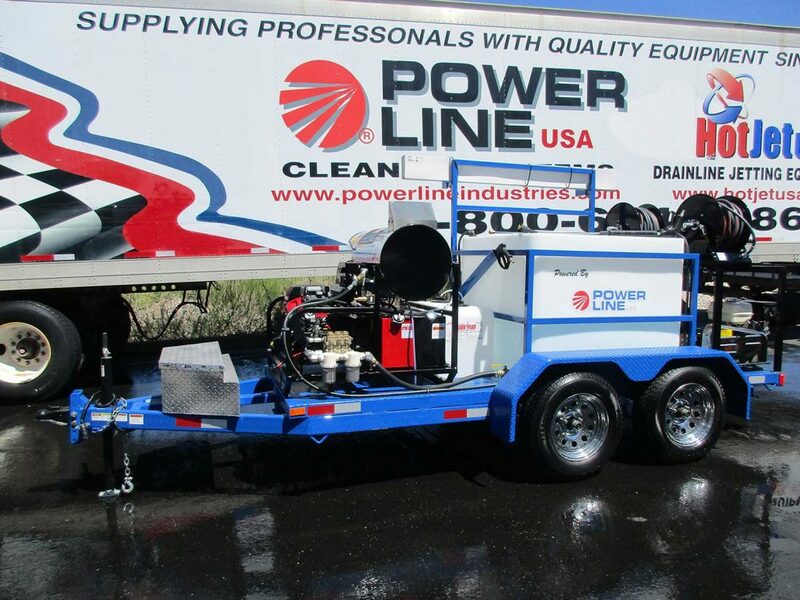 For over 3 decades Professionals have counted on our industrial grade trailer power washers to clean in the harshest environments . . . . Oil Field Service, Mining, Agriculture, Construction, Trucking, etc. 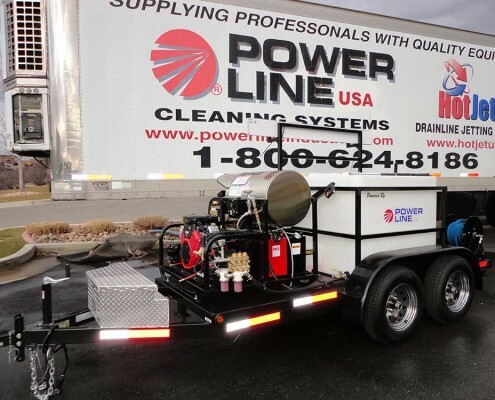 The Professional Contract Cleaning Industry – even the US Army – counts on our trailer power washer’s legendary performance, extreme value, and bullet proof engineering. 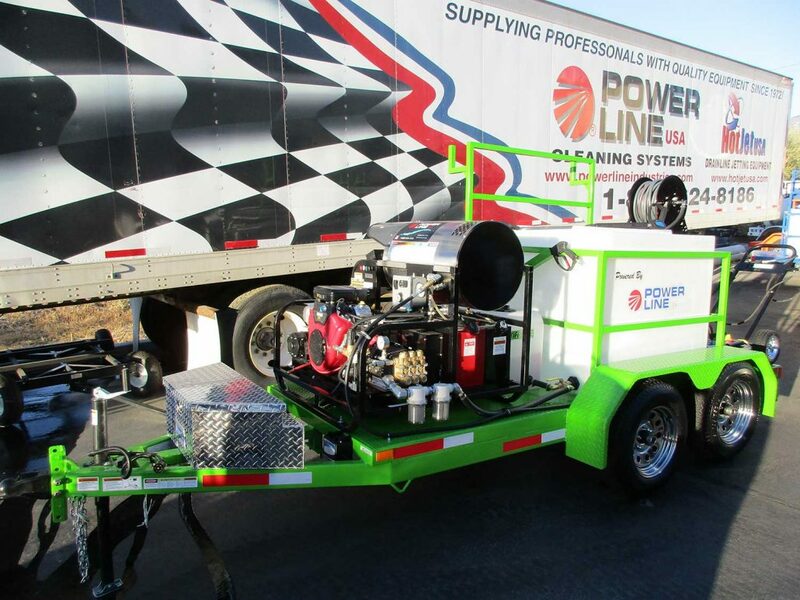 Our trailer power washers are in service throughout the world. 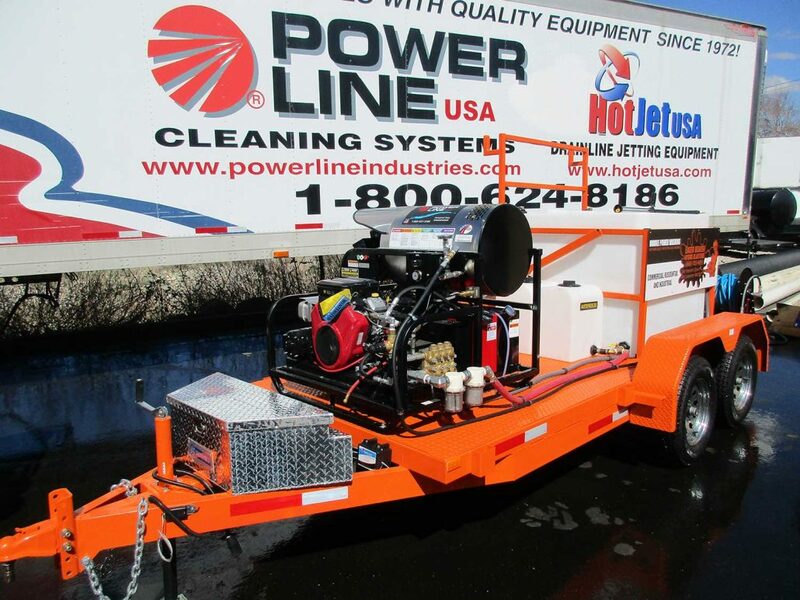 Backed by the Best Warranty power wash trailer system in the Industry and a Nationwide Service Component Support. 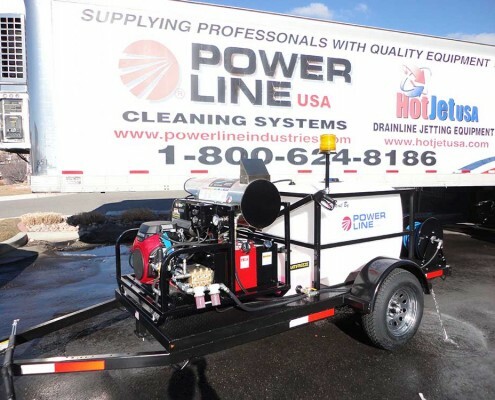 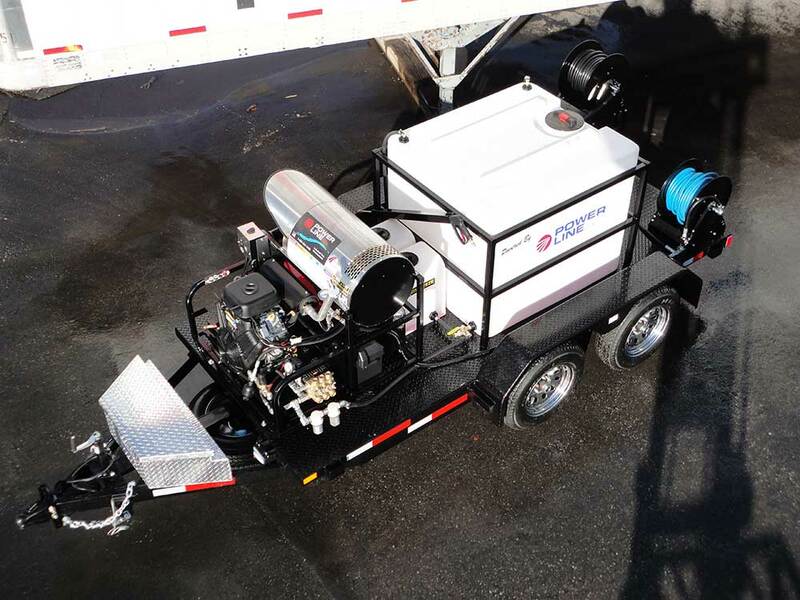 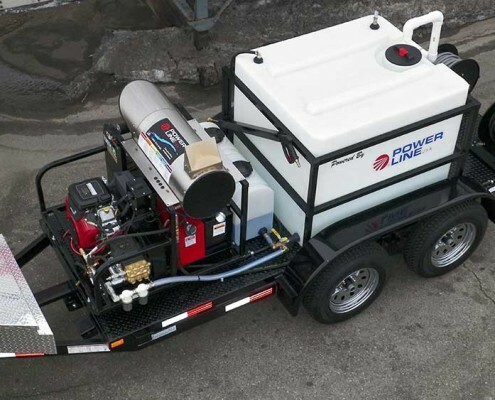 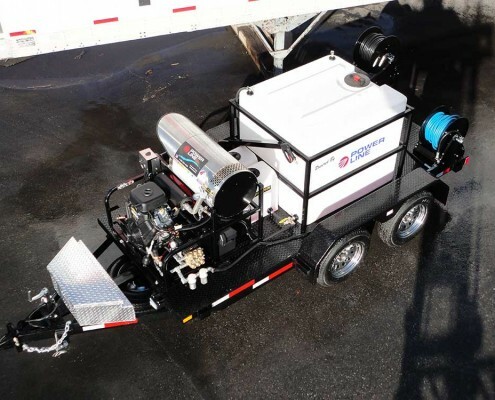 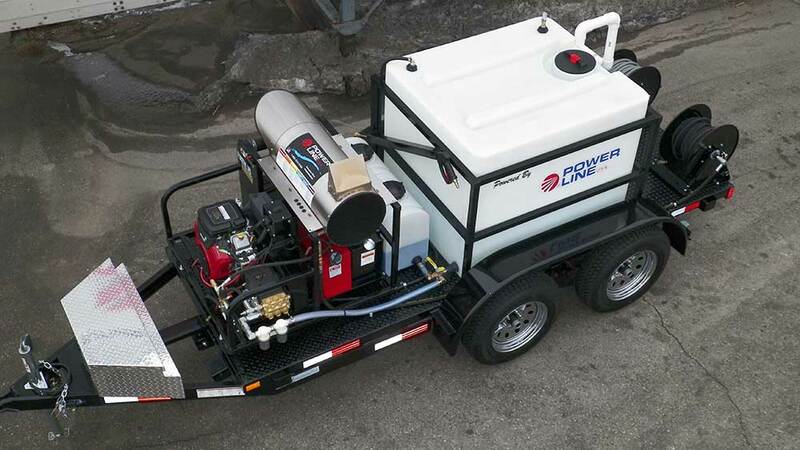 Whether you need to power wash equipment, trains, buildings, concrete, a fleet of trucks, graffiti, or shopping malls, we can custom engineer a power wash trailer system for your specific application. 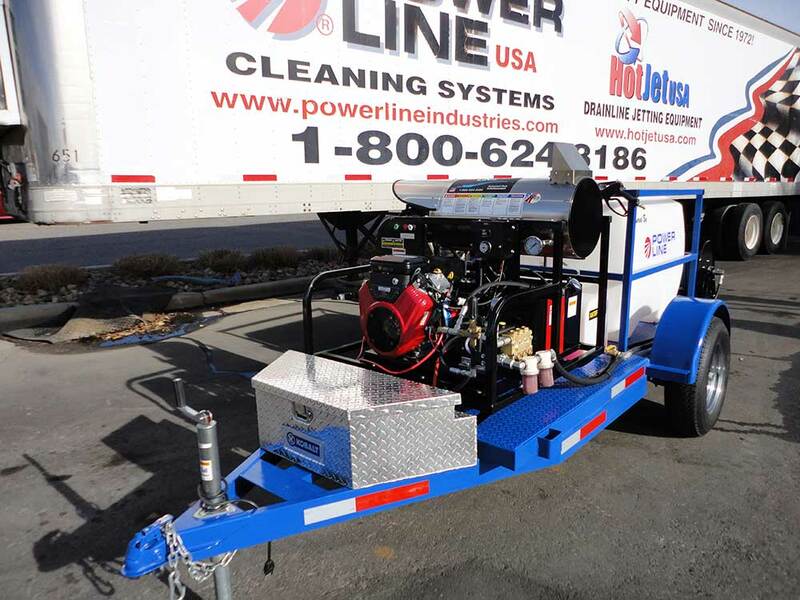 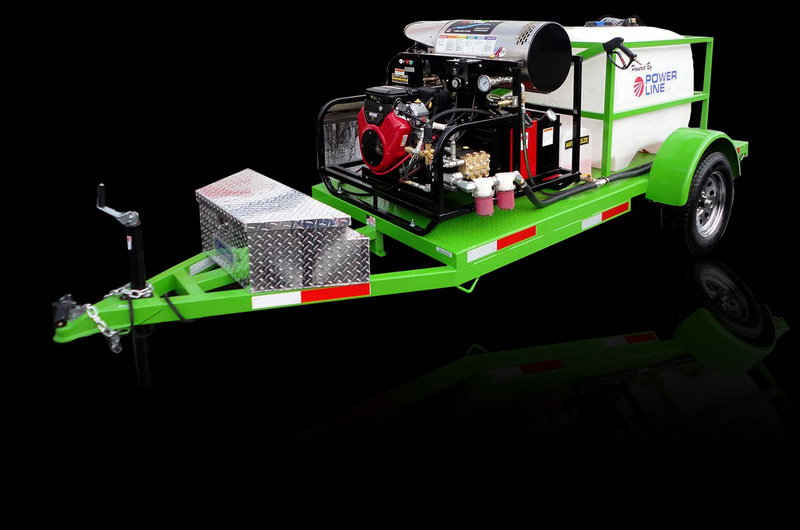 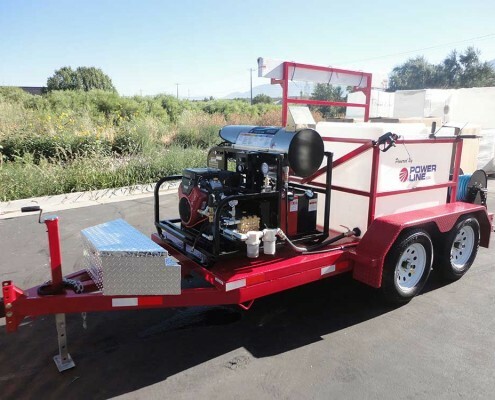 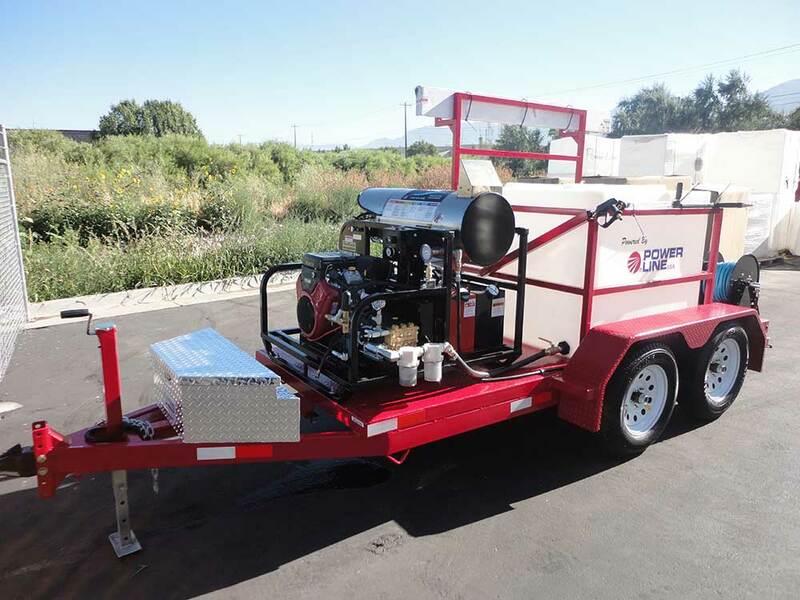 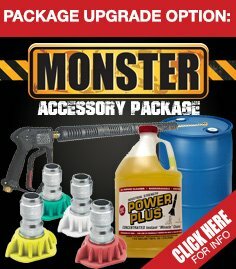 All of our trailer power washer systems come complete – either as a base package or upgraded to include our “Upgrade Monster Accessory Package” for the complete power wash trailer system. 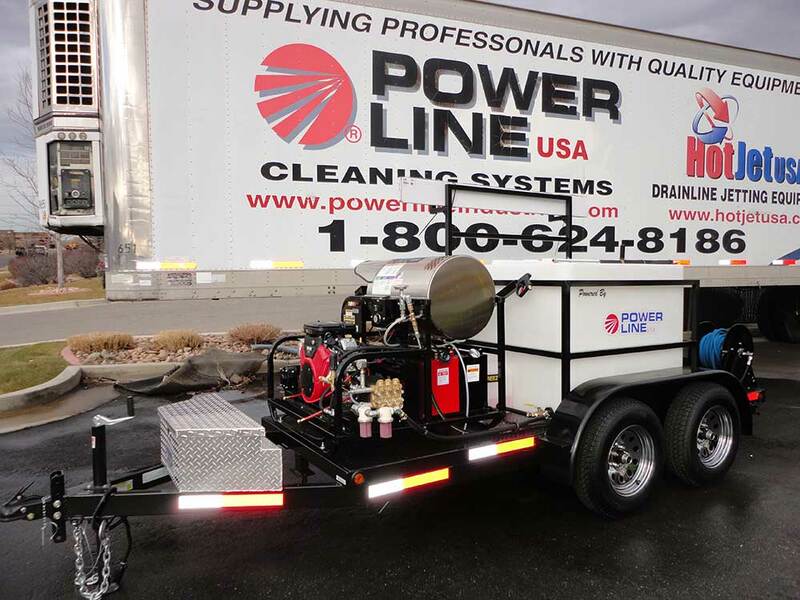 We earn your business by combining Power Line’s legendary power wash trailer systems with our personalized service, factory direct pricing, then backing the power wash trailer systems with the Best Warranty in the Industry! 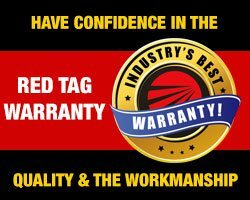 CALL FOR YOUR SPECIAL INTERNET PRICING TODAY!!! 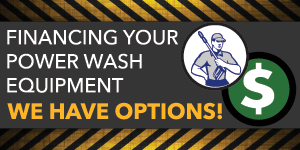 Call us with your exact application and let our 30+ years of experience help you decide which pressure washer will best fit your needs! 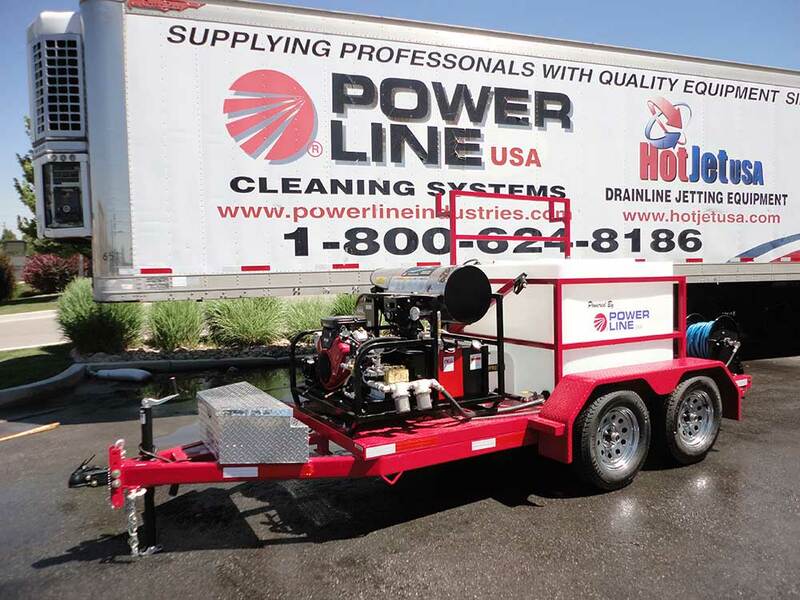 Power wash trailer systems manufactured by Power Line Industries have set the standard in industrial duty power wash trailers. 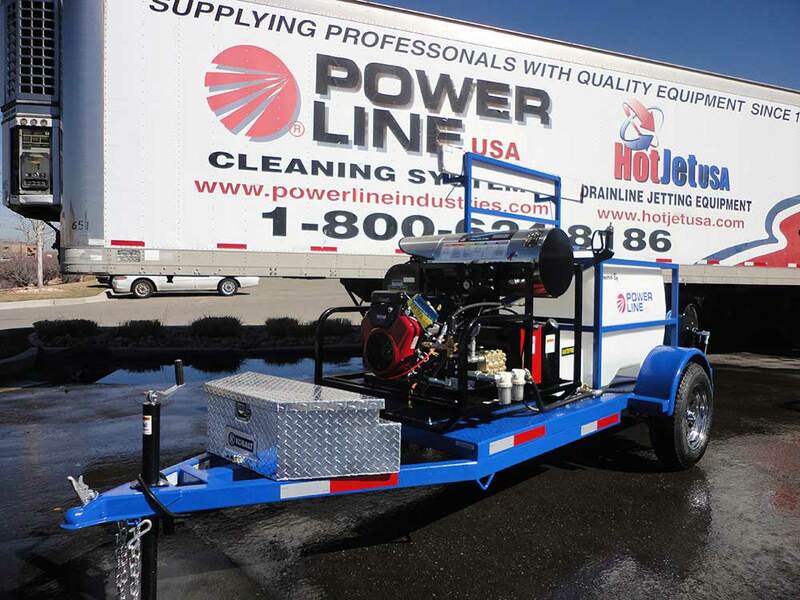 We ship power wash trailer systems worldwide and have built over 5000 custom hot water power wash trailers. 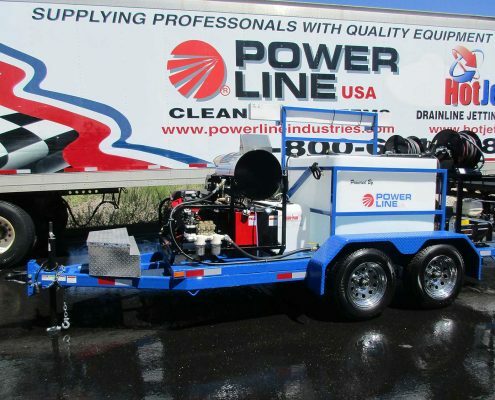 Our goal is to provide the highest quality power wash systems whether they are enclosed power washers, trailer mounted power washers, either cold or hot water power wash trailers – we can custom build nearly any size power wash trailer system and ship the power wash trailer out in a matter of days – not weeks – to any location.